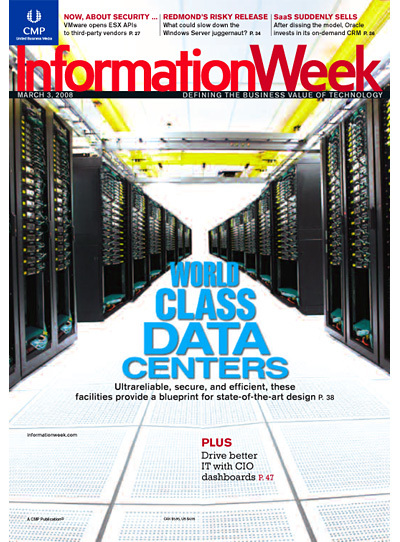 It was interesting to see a picture of my handiwork on the March 3 issue of InformationWeek. The photo appears to be 3 years old based on the servers shown in the racks. I'm sure Tellme/Microsoft didn't intend for this picture to ever be public.